NO WAY! 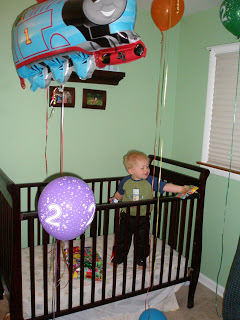 How did my baby turn 2?!?!? 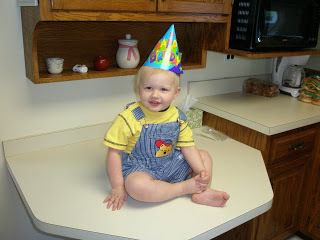 He is growing up waaaaaay too fast. But, since I can’t slow it down…. I will just be more intentional about enjoying & relishing each day, achievement, smile, cuddle, laugh, and fun thing we do together. My hubby’s folks use to get them a cool shaped Mylar balloon every year for their birthday. 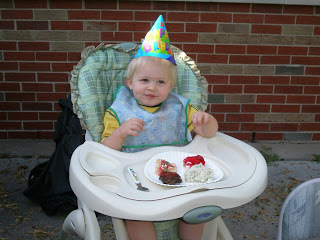 His Mom would decorate their room & doorway with streamers while they were sleeping. It is a found memory my husband has of growing up & I loved the idea. So that is now our tradition too. 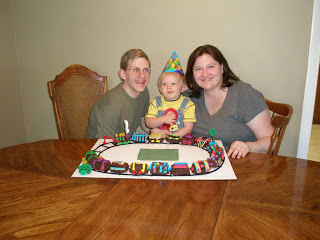 We try to get the balloon in a shape of whatever their party is – so this year a train. When we heard Goofy was awake in the crib we came in with the balloons (we didn’t leave them in there with him unsupervised!!) & presents. He was tickled with all the commotion! 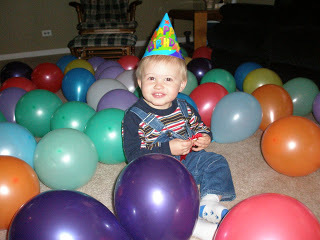 I blew up 150 balloon to fill the living room for his birthday. It was so worth it – he thought it was hilarious! He spent all day crawling through & chasing the balloons! The birthday boy in his conductor like shortalls. My hubby & I used lots of different candy &pipping bags to make each car special & unique (just like Goofy is!). 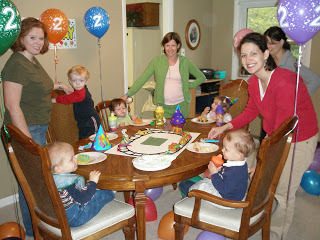 We were blessed to be party of a great playgroup in this city. These 4 great mom & their kids were great friends for the almost 2 years we lived here.